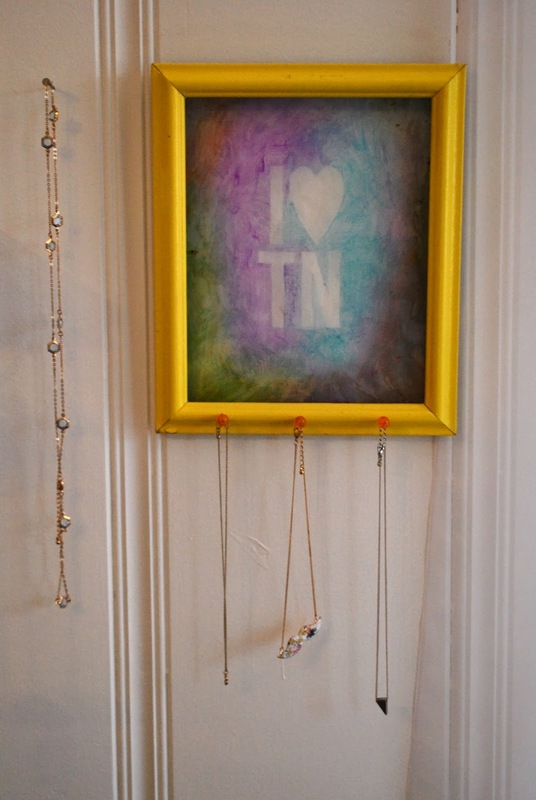 A few people in my life would roll over and die if they knew I had created this "I Heart Tennessee" necklace holder. 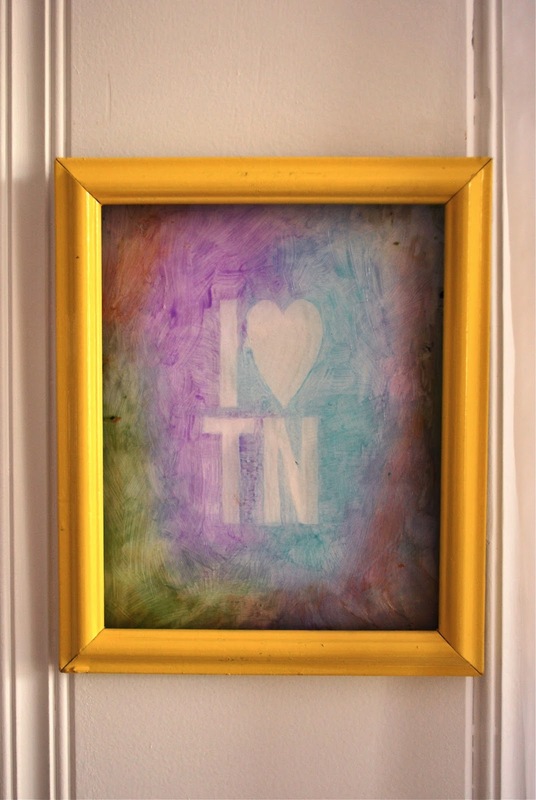 The truth is, I wanted it to say Nashville rather than Tennessee buuuutttt try fitting Nashville into two letters that people understand... To create this stained glass we are using Mod Podge Sheer colors. It's crazy but it's basically just colored Mod Podge! You can buy this stuff at Michael's or on Plaid's website. I grabbed this frame from Goodwill. After I took it apart, I spray painted it with white primer and then bright yellow. I printed these letters out and as you can see, the ink is running low. Tape the "stencil" to the back side of the glass so that is it facing right side up but is still behind the glass. These are the colors we used. Pour the Mod Podge on the glass but don't get as crazy as I did here. I ended up having to wipe some off. Paint as many layers as you want, with drying in between, just don't paint over the letters! When it's all dry, put the glass back in the frame. Put some thumbtacks on the bottom part of the frame! I had to use a little hammering action to make sure they were secure. Then hang it up and hang some necklaces on it! 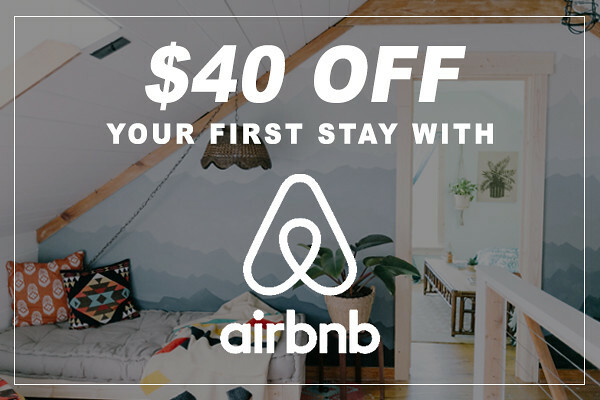 This works best if you will be hanging it on a white wall. Did you cut the printed letters out of the paper? How did you get them to show up white?